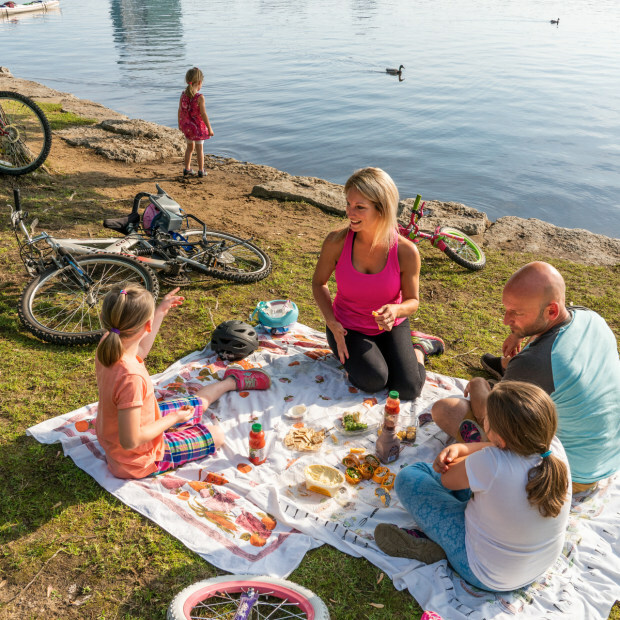 Bounded by Leamy Lake and the Gatineau and Ottawa rivers, Leamy Lake Park is the largest urban park in the National Capital Region. It has a supervised beach, two volleyball courts, a playground, a picnic area and concessions. Pathways lead to archaeological sites dating back 5,000 years. The northern section of the park is an exceptional site for birdwatching. Leamy Lake Park is managed and protected by the National Capital Commission.